How does a professional traveler/TV personality/chef approach world exploration? We set out to ask the imitable Andrew Zimmern, who was recently in New York City to kick off , an exploration of music, food, and performance art happening in 160 Renaissance Hotels and surrounding neighborhoods in 35 countries (celebratory explorations commence May 17, 2017). Zimmern shared some of his travel insights in our Gentedimontagna Questionnaire. Favorite destinations: Aha Hills of Botswana, Lalomanu Beach in Samoa. Bizarre travel rituals: Complete and total anti-bacterial cleanup of every hotel room I enter, and, yes, I use a microfiber sleep sack, too. In-flight relaxation regime: Catching up on email and doing meditation on my . Always in carry-on: Backup battery for emergency phone or laptop recharging, biltong for snacking, Necco wafers, Advil, backup underwear/socks in case luggage goes missing. See it all or take it easy? Neither. Extremes are bad ideas. I need down time. Everyone does. At the same time, I like to take in as much as I can when I'm traveling. I tend to need sleep when I get home more than anything. On the road, I enjoy staying out late and getting up early for walks. Travel hero: Martin and Osa Johnson. Often diminished as simply being safari film legends, they traveled the world over, filming and photographing people and wildlife from Africa to Borneo and other Pacific islands. They married in 1910 and took their first trip together to Vanuatu in 1917. They started by filming the indigenous people before turning their attention to animals in the ensuing years. Martin died in a plane crash several decades later and Osa soldiered on, creating her own solo career through the 1950s. Weirdest thing seen on travels: Hearing Americans traveling through Beijing ask the hotel concierge for reservations at the Hard Rock Café for dinner. Why travel if that's your attitude and intention? My favorite hotel is the penthouse suite at the in Paris because it's pretty darn hard to beat. It's a brand new property and ideally located, and I like the roomy modern vibe. in St. Petersburg Russia is a mindblower with a level of service that harkens back to another era. The 200-year-old caviar bar there is only outdone by the lobby bar filled with more intrigue than Rick's Café in the movie Casablanca. I dream about my meal at my guide Donaldo's house on the Pilchi River in Ecuador. We ate steamed plantain, coconut grubs, and chicha with his children. His wife was away working a few days downriver. He insisted I take the lion's portion of the most humble of meals, his kids deferring, clearly hungry ... but even they were more interested in my happiness than theirs. I think about it every day. Best hotel amenity: Huge bowls of real whole tree-ripened fruit. Favorite childhood travel memory: Skiing the Alps with my father in the early '70s — Cervinia, Lech alm Arlberg, and Val d'Isere in particular. Amazing food and hospitality combined with an awesome backdrop of a great sport in a stirring environment. Everywhere I go, I check out the markets. Everything I need to know about a culture I can learn by spending a day in the local markets. When I arrive in a new place, I learn the lay of the land by walking and asking lots of questions of everyone I can. Then again, before I land anywhere, I pride myself on having studied and read as much as I could about a culture. I always bring home salt, chiles, honey, and any other foods I can fit in my bag. If I never return to ___, it'll be too soon because: I've never been to a place I haven't wanted to revisit. It's insanity to think a day or week in any place reveals everything about a city or country, good or bad. I can't stop thinking about: China, because I'm fascinated by the country and its people, and Syria, Somalia, and Sudan because of the humanitarian crises there. I travel for the transformation and personal growth. Travel changes you for the better, and I'm the best version of myself on the road. 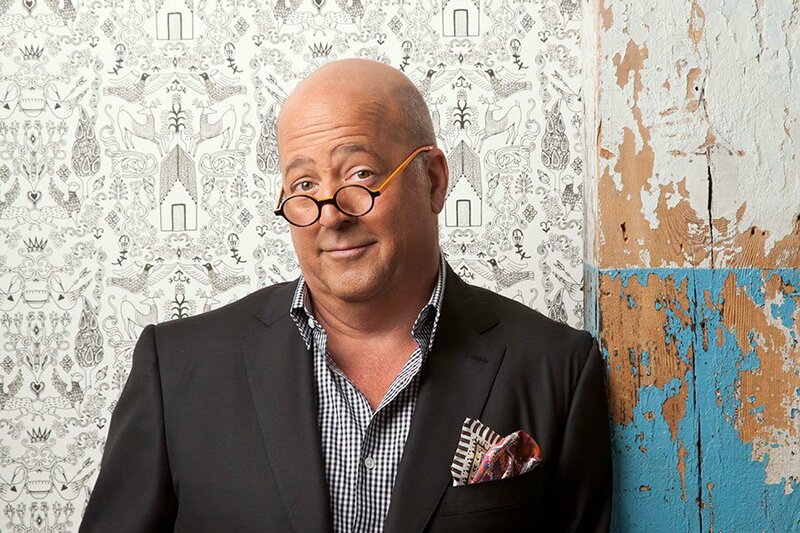 Andrew Zimmern is a chef, writer, teacher, and TV personality. You can follow him on and . He travels for the transformation and personal growth.